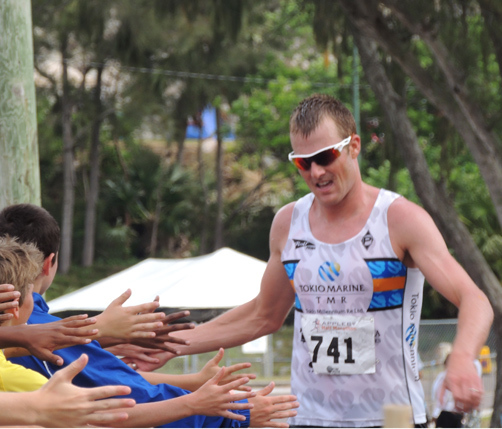 Tyler Butterfield says competing in the Appleby Bermuda Half Marathon Derby is as important to him as lining up at the Hawai’i Ironman World Championship. The 31-year-old triathlete defends his title on Monday and has set his sights on his personal best time of one hour 11 minutes 01 seconds, which was achieved chasing winner Chris Estwanik in 2010. Butterfield, who has a World Cup triathlon event in Mexico next on his schedule, managed ‘only’ 1:15:03 last year as he won for the first time. But the two-time Olympian says he is in better shape this time around and is eager to sample the island’s “iconic” event once more. “It’s one of the best races I do all year,” Butterfield told the Bermuda Sun. “I mean, it’s up there with the Hawai’i Ironman World Champs. It has a huge spectator base that comes out, it’s a public holiday and it’s also one of those things that as a Bermudian growing up here — and eventually I’ll probably live here again — it’s one of the races you want to win eventually. Chris Estwanik’s injury-enforced absence for the second-successive year again opens the door for Butterfield, although he can expect challenges from the likes of Jay Donawa, Lamont Marshall and Chayce Smith. Butterfield says he would have liked to have had former Nike runner and five-time champion Estwanik in front to force the pace but believes he has the fitness to go harder this year. I’m definitely going to try to push myself. I’m a bit fitter this year, done a bit more training — I’d like to break my PB. “I don’t know if I’m fit enough to run a 1:11:00 but I’d definitely like to be as close as possible to my 2010 time. “It’s nice to run behind the lead car and motorbike, it’s a neat experience that I only really got because Chris didn’t race last year but it was a fun experience. He added: “It’s iconic for Bermuda. I tell people in Boulder where I live, that the night before people go and mark their spot to go and watch. “I say that’s in Bermuda — it’s our big running race and it’s cool, I like to try to explain to people what it’s like here. 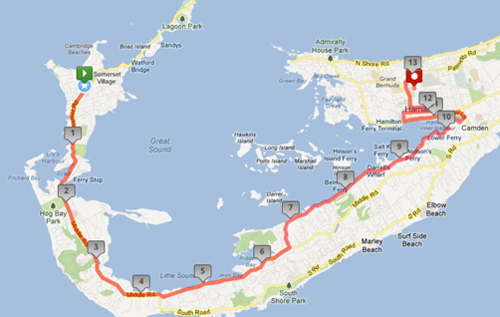 “You’re proud to be Bermudian when you run the race. I compare it to the Boston Marathon for us.